If the US military has its way, tiltrotor aircraft will form the backbone of its heliborne forces for much of the early 21st Century. 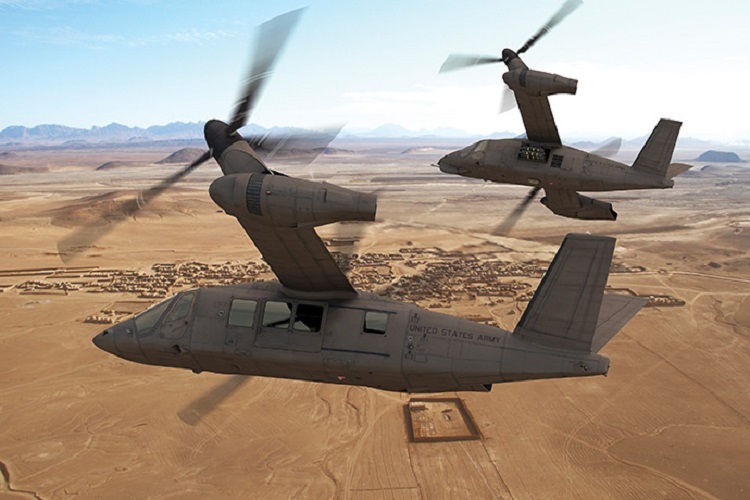 Resembling the V-22 Osprey tiltrotor aircraft, the V-280 Valor, under development by both Bell Helicopter and Lockheed-Martin, is being designed to replace the aging UH-60 Blackhawk and AH-64 Apache attack helicopter, two very dissimilar aircraft that could be combined into one role to save on costs, parts-sourcing and other mitigating factors. According to Flightglobal.com, “those attending a land warfare exposition by the Association of the United States Army in October are likely to see a V-280 mock-up on display as a utility platform one day and an attack variant the next. And, perhaps on the third day it will transform again into a medical evacuation platform. While the US Marine Corps could be convinced to transition to one universal platform, the US Army still remains dubious about the proposed concept. Still, Bell thinks an AV-280 concept might gain traction, and it plans show off its utility and attack configurations on different days at AUSA. The company already builds attack and utility derivatives of the UH-1 Huey for the USMC (the AH-1Z Viper and UH-1Y Venom), and recently demonstrated forward-firing rockets and missiles on the Bell Boeing V-22 tiltrotor.